Both my boys love stories and it’s easy to distract them from other things by simply sitting and down and reading a story. It doesn’t matter if it’s new or a well thumbed copy of their own, books are always interesting in our house. When contacted by Picture Book Explorers to review their resources I wasn’t quite sure what to expect. Fortunately my son really enjoyed the unit study and I was amazed at just how much he got out of it. I think it’s probably my fault that my two enjoy reading Katie Morag books. 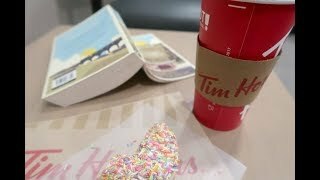 I’ve always loved them since I was a little girl and my boys enjoy reading about a book set in Scotland, better yet it’s on one of their beloved islands. There’s always such excitement when we tell the kids we’re visiting another Scottish island. 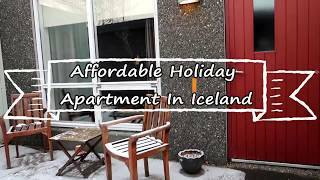 Maybe it’s the camping or maybe it’s the ferry journey, but they always have an amazing time wherever we end up! 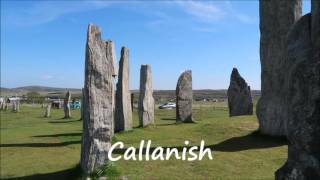 Last year we visited the stunning island of Coll and it’s neighbour Tiree. 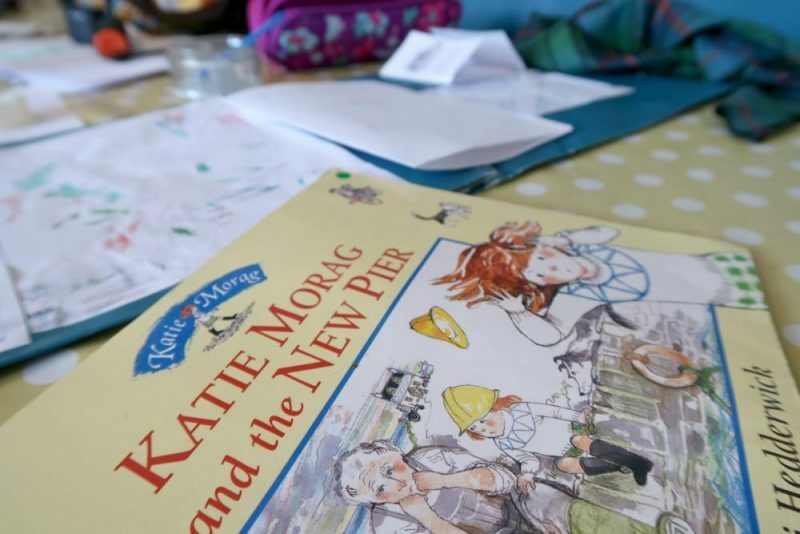 Coll was where Mairi Hedderwick (author of the Katie Morag stories) lived and where she had inspiration for her stories about the fictional island of Struay. So this was the perfect book for us to review for Picture Book Explorers. I decided not to tidy up so much for these photos and instead capture them in the way that we work. Normally amidst mess and chaos, but it works for us! We tend to be quite unstructured in our learning as this seems to suit my 6 year old. However, sometimes it’s nice to add a little structured work that my son might enjoy. As I mentioned he already loves Katie Morag so this was a great book to begin with. Before you start any of Picture Book Explorers unit studies make sure you can get hold of a copy of the book of choice. If you don’t already own it, check your local library or ask friends for a copy. There are various titles to choose from, including Floss and Dogs Don’t Do Ballet (favourites of ours!). Every unit study includes maps, timeline, fact sheets and over 20 different activity suggestions. When you download your unit study have a read through a couple of times before you and your child start working through it. There’s a lot of information to take in, which is definitely a good thing. You will analyse the book thoroughly with various suggestions for different abilities. It’s definitely a pick and choose type of study! 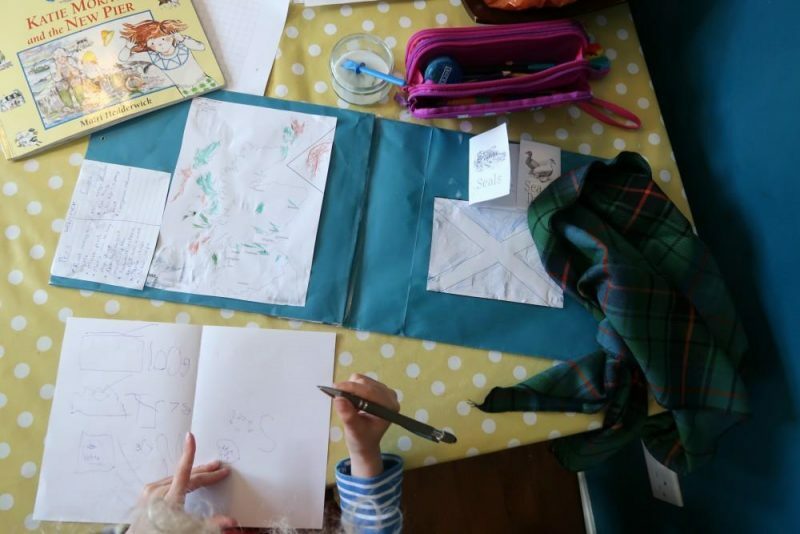 The pack suggest creating a lapbook for keeping a record of your child’s journey and a card folder is perfect for this. We didn’t have a folder on hand when we decided to start, so instead cut apart a large card gift bag. Not as neat, but it definitely works too! I will be ordering some card folders online for our next lapbook construction. I went through all the information in the pack and chose several different parts that may interest my son. Some of the items would suit much older children and there are certain parts that my son would struggle more with. 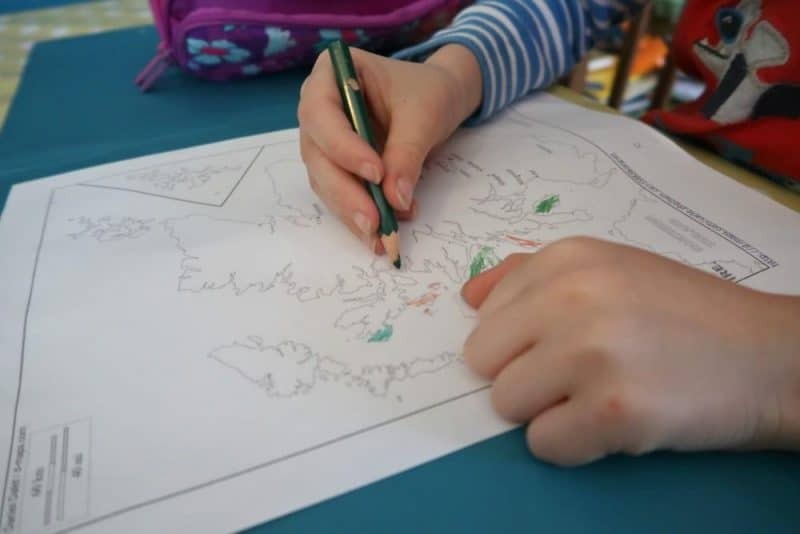 First off I handed my 6 year old the printed map of Scotland and we studied the map colouring in all the islands we’ve visited in green and all the islands we haven’t visited yet red. He also put a circle around Coll. 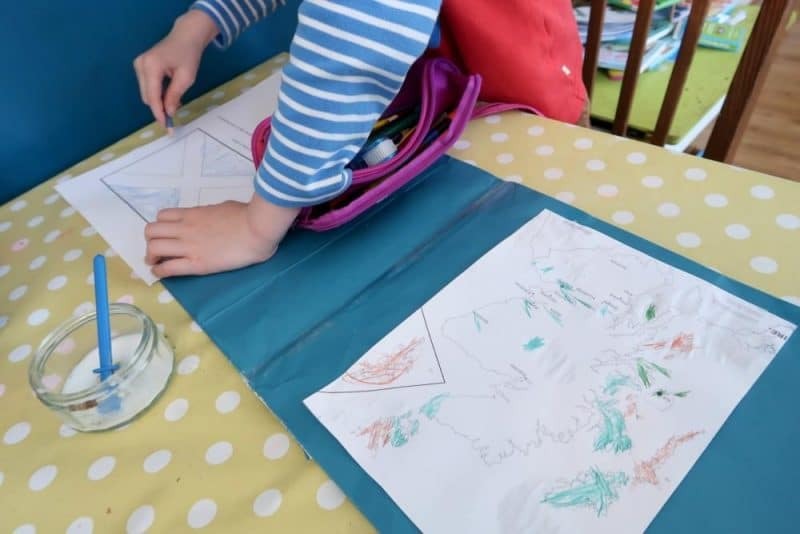 As we live in Scotland we didn’t talk too much about what Scotland is famous about, but he was keen to colour in the flag and stick that in his book too. Then we moved onto the pro’s and con’s for the new pier, as he’s not so good at writing my 6 year old dictated to me what to write. He very quickly picked up what to do whilst reading through the pages. Each item we completed was stuck into the lapbook, although some parts were discussion only and didn’t require writing down. 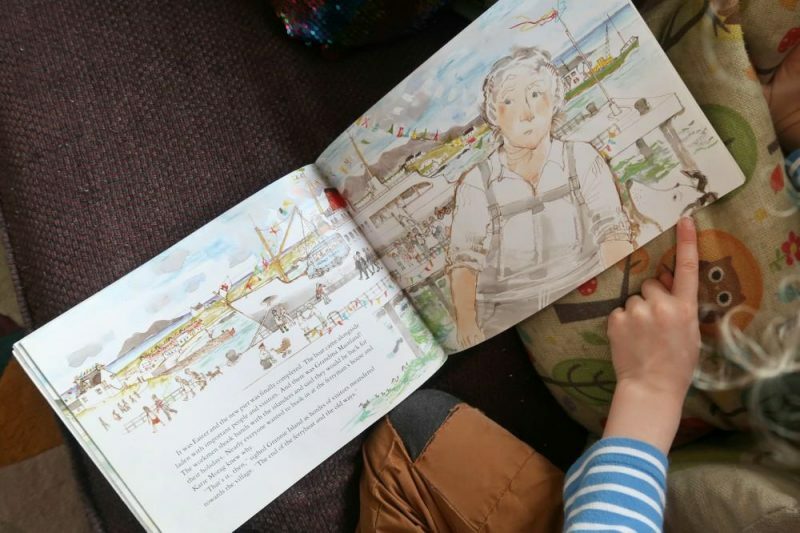 My son has a love of animals and he was happy to find out more about the different animals in the book, filing in a mini book about grey seals and Eider ducks. 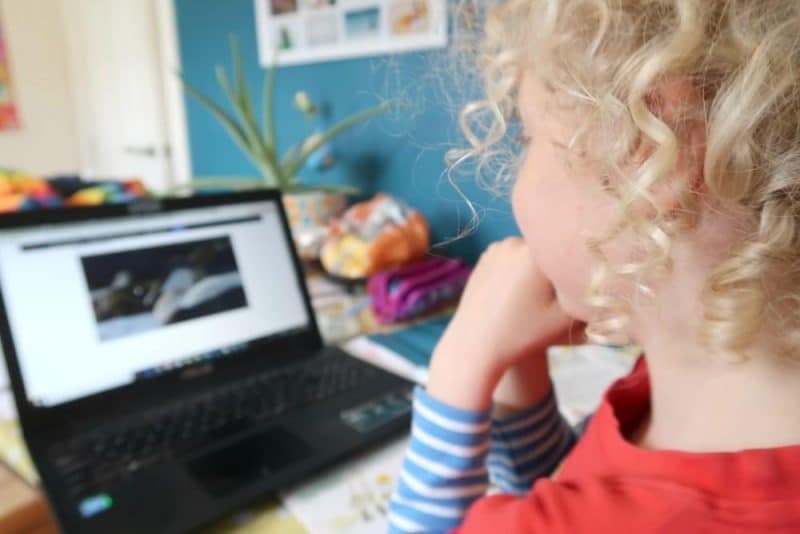 He especially love the links in the pack to videos where he could see and hear the animals. 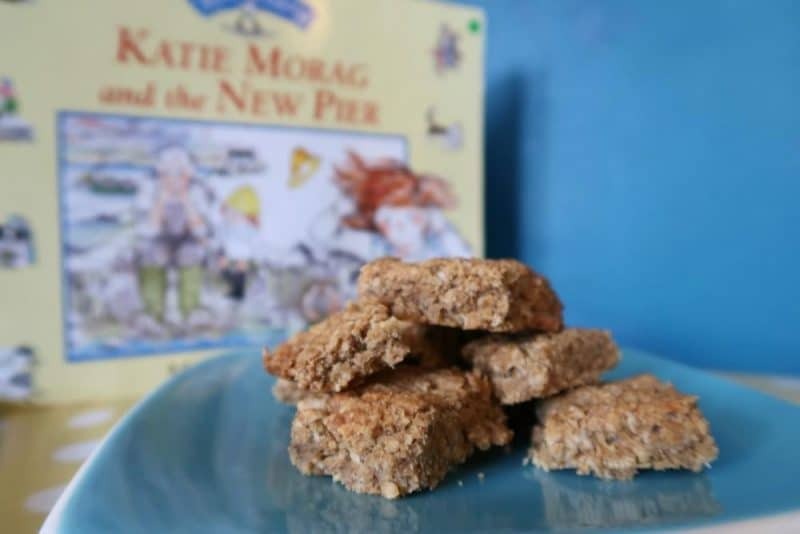 Anyone who has read a Katie Morag book will know all about porridgies. 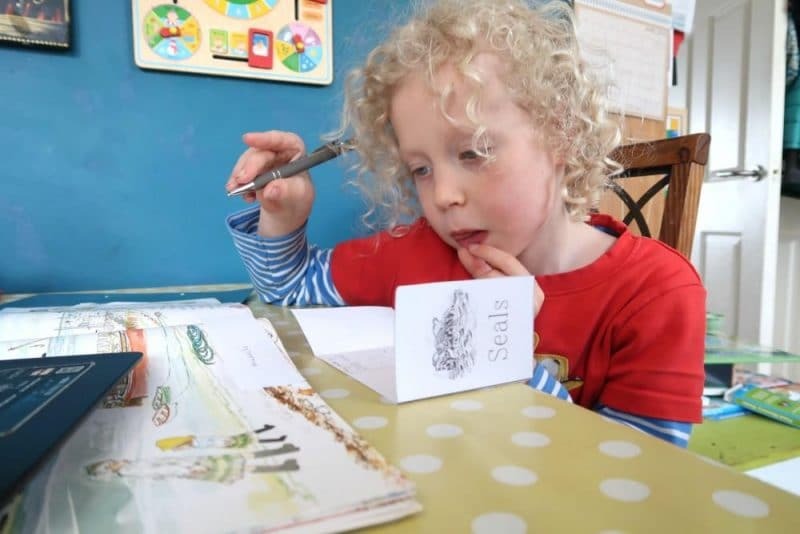 As soon as I had mentioned the possibility of creating his own he had a piece of paper out ready to make his own recipe card like Katie Morag had done in the book. He carefully drew a picture for each ingredient and wrote the quantity required and raced about the kitchen finding all the ingredients, referring to his recipe card when required. 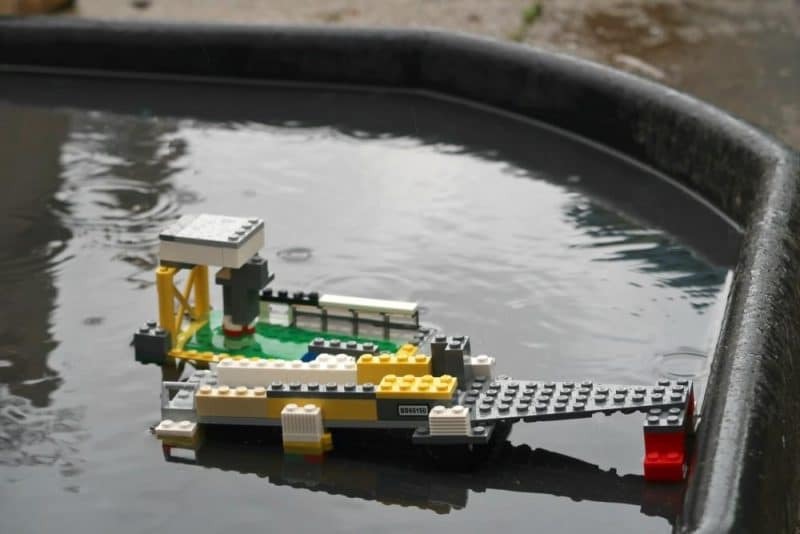 Our final task was to create a pier made from Lego, which HAD to be put in water. They had great fun playing with it in the rain before dinner! 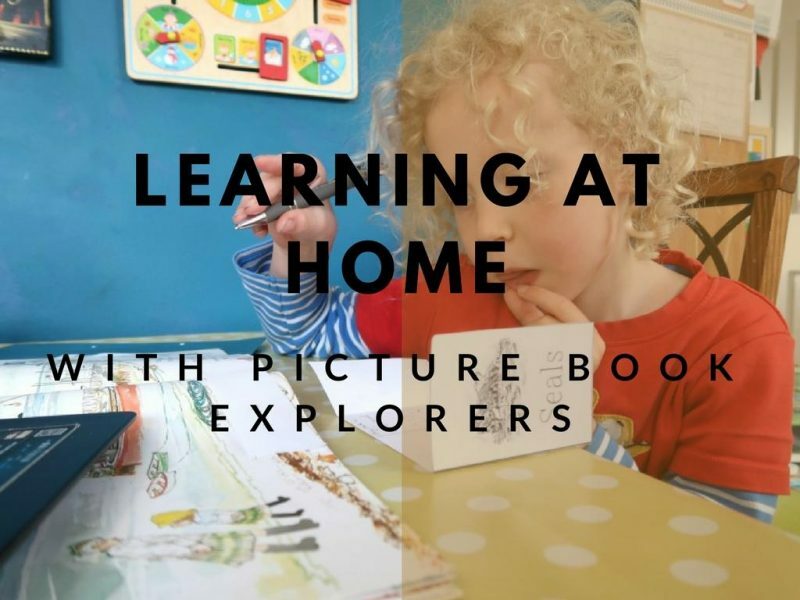 The Picture Book Explorers unit study is a fantastic idea for younger children, there are also chapter book studies available for older children. 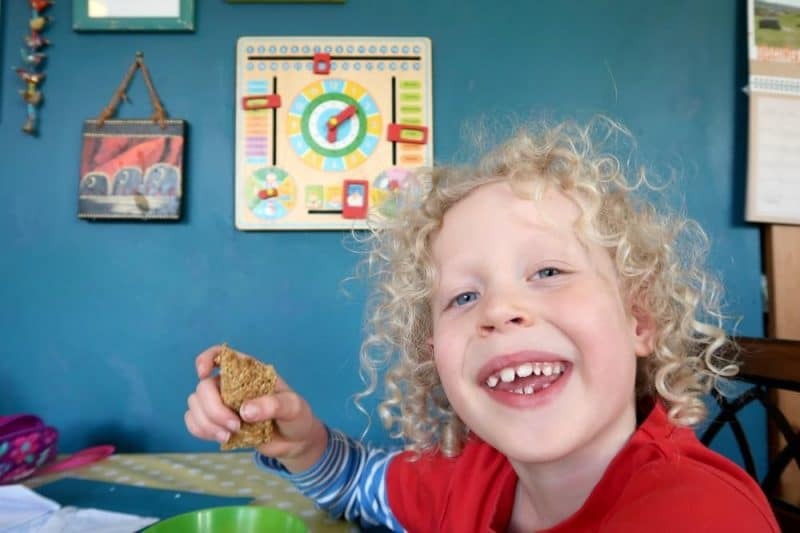 I love that the topics can be adapted to the child’s ability and taste. We’ve covered a whole range of topics from physical and human geography, understanding arguments in story lines, reading, writing, mathematics, problem solving and ecology. My 6 year old loved it all! We did most of our work in one afternoon, but the unit study is meant to be spread out throughout a week with different topics from the book each day. As we have such a busy week it might not quite pan out that way, but the good thing with lapbooks is that you can come back to them and add to them over time. 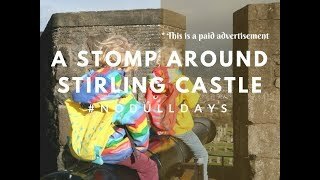 I would definitely recommend this for home educators or for those looking for learning outwith school and enjoying learning as a family. * We received this pack for the purpose of this post, however all opinions are my own.